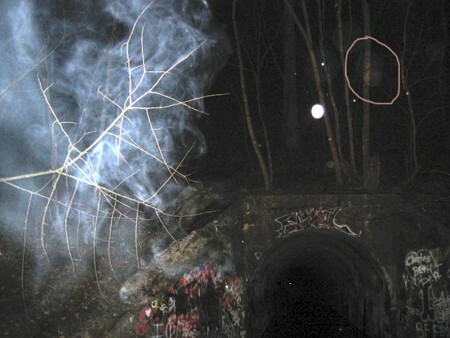 The highlighted orb is nice but I see lots of other stuff in this picture. What about the mist for example. You see something flying in the mist. Looks like a photo of cigarette smoke. That photo could be easily duplicated. The ''orbs'' could be raindrops.